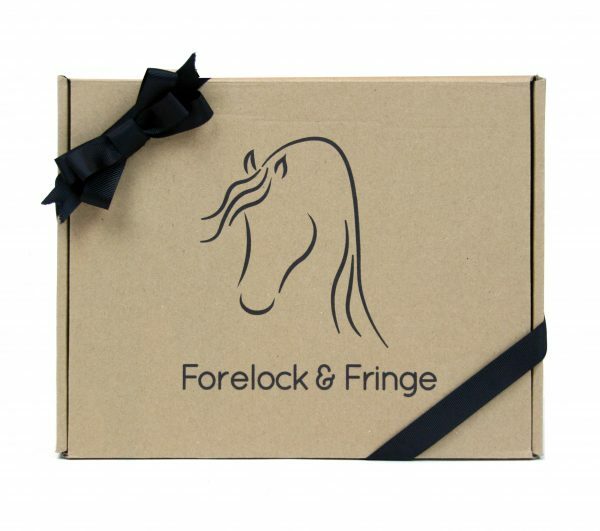 Get all the goodies from a regular Forelock & Fringe subscription in a one off box with the option of specifying product types. The perfect gift for the equine enthusiast who has everything! A surprise box full to the brim to treat both the horse and rider, including skincare, snacks and alcohol. Whats not to love? Maybe you’re an existing subscriber who missed the first few boxes but there was something you would love to try? Or you are buying as a gift for a wine loving lady with a super grey pony? Tell us what discipline the receiver does? Maybe they event and the Icesocks would be perfect. Give us an idea what you or the lucky receiver like to drink? are they a gin lover or a prosecco queen? We will tailor a box as close as we can with the information you provide. We cannot guarantee anything specific however we will make it as special as possible for you and your horse! Always – Your box will definitely include some form of alcohol treat!